Animal shelters, like the animals they house, vary greatly by size, purpose, capacity, and humaneness. They may be run by the government, by a local humane society, by private individuals, or by a combination of these. Some are funded by donations alone, while others receive tax money. Sometimes tax money comes with a stipulation that some animals must be turned over to experimenters. Every effort should be made to reverse such a policy, which is known as "pound seizure." Some shelters take in dogs only, but most take in dogs and cats. Some can properly handle birds and wild animals. Usually, however, names of area naturalists or wildlife rehabilitators are kept on hand for referral when a wildlife emergency arises, and if a wildlife facility is nearby, any incoming wildlife should be transferred to it. Because of severe space limitations, most shelters kill animals who are old, seriously ill, or unfriendly, or who remain unclaimed or unadopted after a limited number of days. The ideal shelter is a haven for lost, injured, abused or unwanted animals. It receives adequate funding from the county or city it serves, and no animal from it is ever knowingly turned over to a research laboratory, guard dog company or unqualified or cruel guardian. The ideal facility also has a caring, knowledgeable staff, cruelty investigators, spacious dog runs (indoor-outdoor, if possible), a large and sunny cat room, a spay/neuter program, an adoption pre-check and follow-up program and a comprehensive humane education program. The staff is supplemented by an active volunteer auxiliary. There are sick wards and rooms for isolating newcomers. The cat room has windowsills and various nooks or perches where cats can lounge or sleep. Cats are allowed to roam this room freely. They won't fight because they know that no one of them "owns" this territory and each adult has been spayed or neutered before being introduced into the room. There are some cages here for cats who must be confined for observation or because they feel more secure in a cage when they are first brought into the room. The public is made to feel very welcome. There is a quiet room where people can be alone with an animal they are considering adopting. Through various methods of publicity, the public is made aware of the animals available for adoption at the shelter. Sometimes, as a public service, local newspapers will publish a list or notice of animals available for adoption, along with the hours the shelter is open to the public. They may also print a photo of one of the animals, which is a good way to attract attention. Local radio and television stations may also publicize the shelter as a public service. Notices and photos can be posted in animal hospitals, stores, online, etc. The shelter is open for redemption and adoption of animals during hours convenient for working people. It is open at least several evenings a week and for at least several hours each weekend. When animals must be killed it is done with a painless injection of sodium pentobarbital administered by gentle, caring staff. Remember, these are the programs and facilities included in the ideal shelter. With the help of volunteers, good shelters can become ideal. "No-kill" shelters do not euthanize animals except under extreme circumstances. Because of this they must limit the number of animals they accept. Some no-kill shelters take in only highly attractive, young, or purebred animals, or only animals from the police stations of designated municipalities. Many direct people with old or sick animals to another facility that must kill animals to make room for new arrivals. Each time such a referral is made, there is a greater chance that people will instead dump the animal. At some no-kill shelters, "unplaceable" animals end up living in cages for years. They can become withdrawn, severely depressed, and "unhousebroken" and can acquire anti-social behaviors that further decrease their chances of being adopted. Well-meaning people who take on the huge physical and financial responsibilities of a no-kill shelter can find themselves overwhelmed very quickly, and too often the animals suffer from lack of individual care and attention. Some no-kill shelters have been shut down by humane officials after gradual neglect turned into blatant cruelty. Many shelters are in serious need of reform. Citizen involvement is essential if progress is to be made. You can be successful by organizing friends, neighbors, and other concerned individuals. At all times, maintain a positive attitude. For each problem you encounter, offer a solution, along with assistance in implementing your suggestions. Focus on specific problems and don't expect to get everything you ask for all at once. Common problems include cruel killing methods; dirty conditions; lack of veterinary care; lack of adequate food and water; poor record-keeping resulting in animals being frequently "accidentally" destroyed; lack of spay/neuter requirements or programs; callous, untrained, or unthinking staff; inadequate screening procedures for adoption applicants; and pound seizure. To effectively document abuses, compile written statements of specific incidents and observations. Record all pertinent information, i.e., the date, time, persons involved, weather conditions, etc. Have as many people as possible document their experiences. Be sure to keep copies of all your documents and correspondence. After you have collected concrete evidence showing poor conditions at the shelter, enlist other people to work with you on the case. Not only will you need help with your campaign, but public officials tend to be more receptive to groups than to individuals. You might want to run an advertisement in the local newspaper asking people who have complaints about the shelter to write to you. In your advertisement, be careful not to target any individual, such as the shelter director. Organize a meeting with other interested people and set your goals. Address the most serious problems first. Group members should be familiar with your state's anti-cruelty statutes, local animal ordinances, and the specifics of animal behavior and care. Your efforts will be more productive if each member has clearly defined responsibilities. 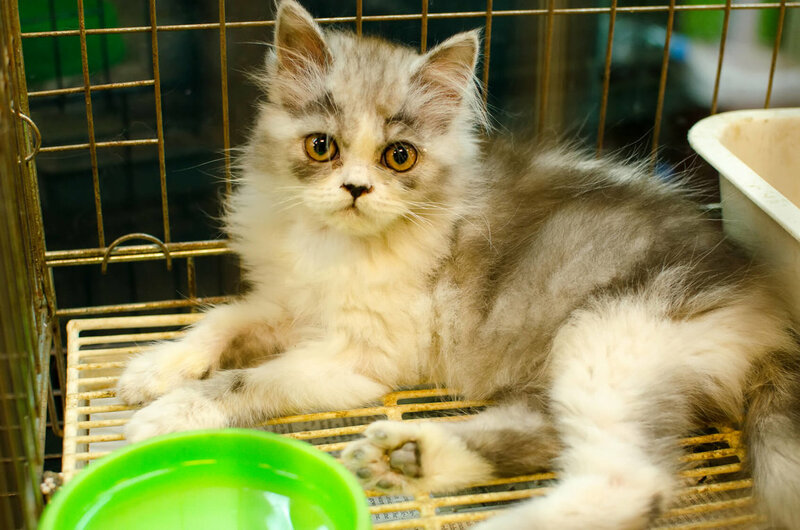 Depending on the problems you have observed, you may want to first meet with the shelter director and discuss how you might help improve the facility. If this approach fails or is not feasible, you should request a hearing before the agency that oversees the shelter: the city council, board of county commissioners, or the humane society's board of directors. Attend the hearing with group members and as many other supporters as possible. Present your documentation in an organized way, and be specific. To maintain a high profile in county politics, have several of your group's members regularly attend these public meetings. This is essential in monitoring progress, and in showing officials that your group is serious about reaching its goals. Launch letter-writing campaigns to local officials and newspapers. Be sure to write letters of thanks when improvements are made. Develop media contacts so that the entire community will be kept updated. Local newspaper and TV reporters who are sympathetic to your concerns can be valuable allies. If there is an upcoming election, you may want to meet with one or more candidates. Schedule your meetings early in the race and keep them short and concise.